Do you support students who would benefit from a national specialist college? RNIB College Loughborough supports both day and residential students with sight loss and other disabilities. 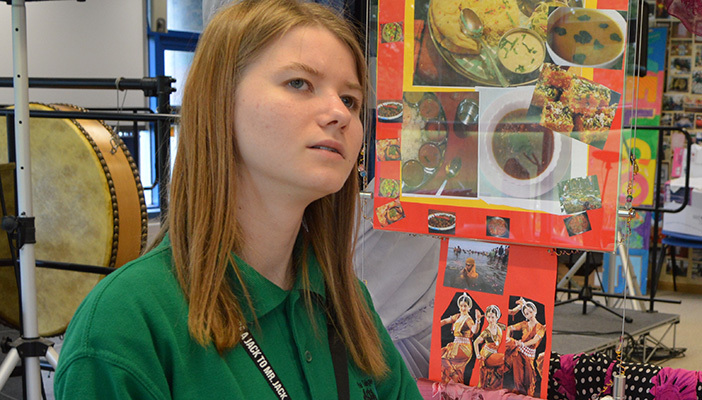 To see their enterprise learning environment in action, view accommodation and speak to staff about what’s on offer for young adults with sight loss, book a visit to RNIB College Loughborough today. Students come from around the country to join the Further Education programme, based around several different enterprises. These include the college’s eBay business, Bell Bar, Conference Centre, College Office, and College Arts Centre. Students can also be supported to study a course at a partner mainstream college. Conveniently located next door, they have a wide range of courses to choose from. The Bridge independence programme is for young adults who have finished their education and want to gain the skills and confidence to progress to independent or supported living. During this residential programme, students are encouraged and supported to do things they’ve previously had others do for them, enabling them to be more in charge of their life. Also on offer is a daytime activities programme, called Flexible Futures, for young adults in the local area. Call RNIB College Loughborough on 01509 611077, email [email protected] or visit the RNIB College website.